britain earl photography blog: Amanda + Reuben: engaged! Amanda and Reuben were one of the lucky winners of a FREE engagement session, at the Bridal Fashion Debut. 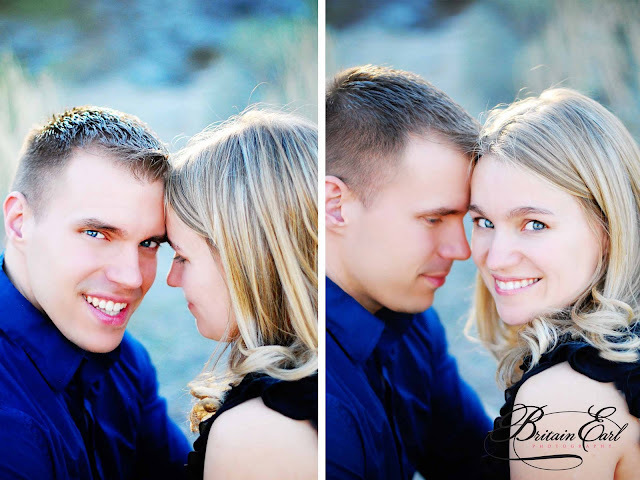 they chose South Mountain as the location, because they love the outdoors and had one of their first dates hiking here. hello blue eyes! these two are just a little bit GORGEOUS!!! the desert setting was perfect, as their wedding will be in Minnesota, so they wanted a desert themed location to reflect the style of their courtship. did i mention that these two are HOT! see more at Britain Earl Photography on Facebook! 1 week 'til Valentine's Day! Share the Love!